In the 1920s, the Osage Indians of Oklahoma were the richest people per capita due to the discovery of oil on their land. The federal government decided that the Osage were not "fit" to make monetary decisions on their own, and they were appointed legal guardians who did anything but guard the safety of their legal charges. Over a period of several years, many rich Osage were murdered (or died suspiciously) in what appears to be a conspiracy among legal guardians to gain control of the wealth. Outlining malicious greed and terror, Killers of the Flower Moon begins by following a specific set of murders that the FBI "solved." 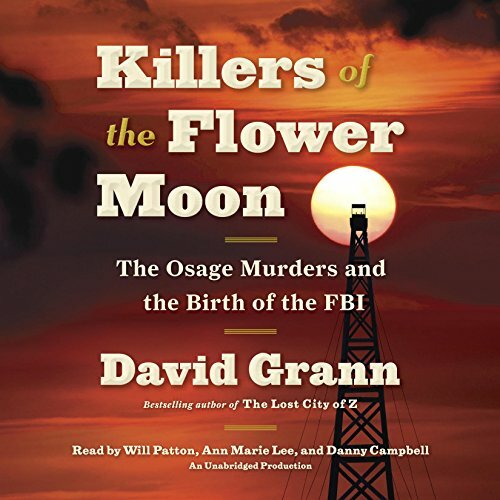 Grann then continues the book by describing his own research into other mysterious deaths that happened around the same time. I've always wanted to hike the Appalachian Trail. Big dreams - out of shape woman. (In my defense, I used to be in much better shape, but those days are gone.) 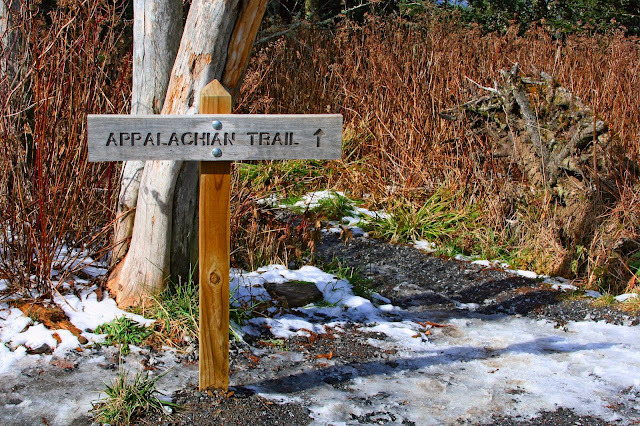 So instead I'm going to hike it in my mind, as I try to lose weight for my upcoming wedding. Unfortunately, as well as being out of shape, I'm recovering from leftover breathing problems from the flu, so it may take some effort to start really moving. This is the fifth book in Spirit Animals, a middle-grade fantasy series imagined by Brandon Mull. It continues the story of the four kids who have been paired to the four fallen Great Beasts rather than to a normal spirit animal. I won't say more, for fear of spoilers for earlier in the series. Cute book. 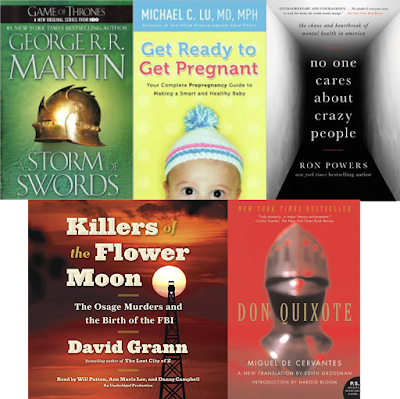 I like the way this series is written by different authors for each book, because it introduces me to new authors. This one was quite enjoyable. I got a couple of good laughs, and it was hard putting this short book down. This is the epic story following the family of Kunta Kinte, who was kidnapped as a teenager from his home in Africa to be a slave in the US. 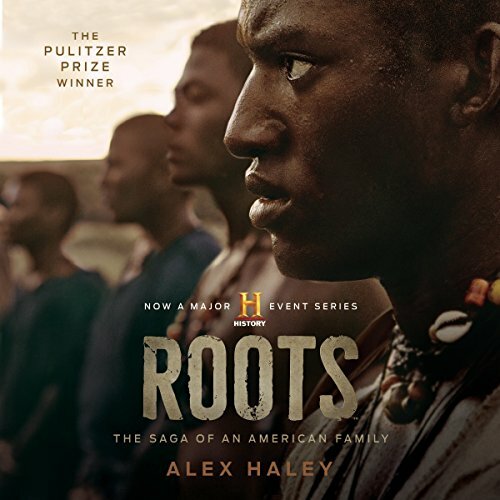 His family is dramatically followed down the line to Alex Haley, the author. There is a well-known miniseries based on the book (it was pretty good), as well as a newer one which I've not seen. The first one follows the book almost perfectly. For the most part, this was an excellently written character-driven book. I enjoyed following the family down the generations. Unfortunately, Haley ruined it by claiming that it was actually his heritage, which it was not. That was a lie. It was also apparently plagiarized (including even some of the characters) from another book. :( Knowing that took some of the admiration I would have otherwise felt for the book. Still, it was quite good...and a good start for Black History Month. 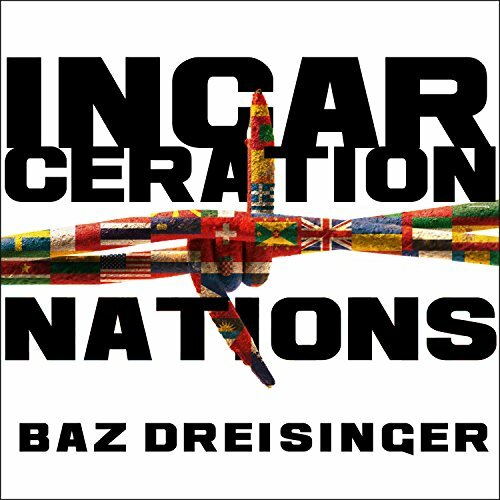 Dr. Dreisinger travels to different prisons around the world, giving 2-day seminars to the prisoners and comparing the pros and cons of each prison system. I admit this book wasn't quite what I expected. I expected it to have more complaints (with evidence) about the problems of overincarceration. Although it did contain such comments, that was not the point of the book. It was a fascinating description of different prisons throughout the world and what they were doing right (and wrong) in rehabilitating their inmates. She left some prisons feeling uplifted and left others feeling quite depressed. I found the book quite interesting even if it wasn't quite what I expected. In this strongly stated book, Torrey describes how the formation of the National Institute of Mental Health (NIMH) was formed, accompanied by well-meaning, but ill-planned federal programs for the out-patient care of mental ill patients and the emptying of state-funded mental hospitals. Due to terrible conditions in state hospitals and to the discovery of antipsychotics, many well-intended people wanted to improve the condition of mentally ill people by giving them independence and better living conditions through outpatient treatment. So the founders of NIMH, with the help of President Kennedy, began a federal program intended to care for patients on an outpatient basis, as well as providing resources which were intended on reducing the onset of mental illness in future generations. Unfortunately, as the state hospitals closed en masse, these federal programs didn't do their job as intended. The federal programs focused too much on trying (and failing) to reduce the new onset of mental illness, and not enough on taking care of people who were released from hospitals. Many people from the hospitals had nowhere to go and/or stopped taking their meds (for various reasons). The populations of homeless and jailed/imprisoned mentally ill people skyrocketed. Violence by and against people with mental illness skyrocketed. Chaos ensued. Hi all! Did you miss me? I know last year I was sketchy. I had so many big plans, and they all fell through. I went manic for the first 6 months of the year, and then had to pick up the pieces of my life for a while. Then, I found a wonderful man, and am now planning a wedding. Yay! I have only one reading project this year, and because I now know that Real Life will always get in the way at SOME point, I will not recruit others, but make it a personal project which I can put down and take up at any time. Other than that, I just joined a book club which reads one non-fiction and one fiction book per month.